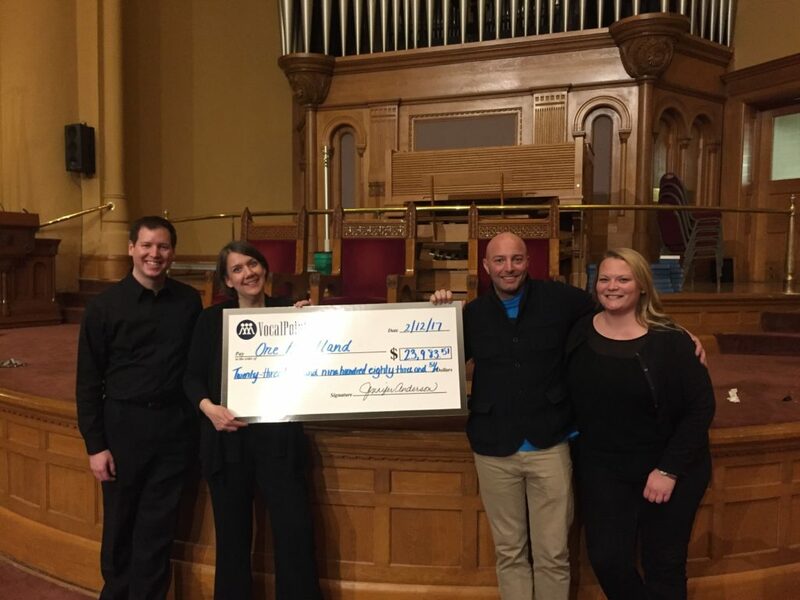 We are so humbled and thrilled to announce that the February 11 and 12 VocalPoint Chorus concerts raised more than $24,000 for One Heartland! THANK YOU so much to Jennifer, Emily, Peter, the VocalPoint board and planning team, the singers, composers, volunteers, crew, church community, speakers, and the incredibly generous audience who made all of this possible. Thanks to the money raised, we will be able to add a second session of our Camp Northstar program for youth living in transitional housing. The concerts were a truly transformative experience that will make a huge difference in the lives of the kids who need it the most. We came away from this weekend with new friends, full hearts, and renewed passion for the work we do. Thank you for telling our story!